First, you need to understand that veganism isn’t a diet — it is a lifestyle. A diet is something you can go on and off for any given amount of time to achieve a short term result. A lifestyle incorporates diet with other aspects of your life into an ongoing, long-term solution. What is the reason vegan diets fail? They didn’t make the connection. If you don’t believe hard enough in something, eventually you’ll start looking for a way out. Going vegan isn’t hard, but going vegan for the wrong reason can definitely make it that way. This is why there are so many ‘ex-vegans’ and ‘ex-vegetarians’. 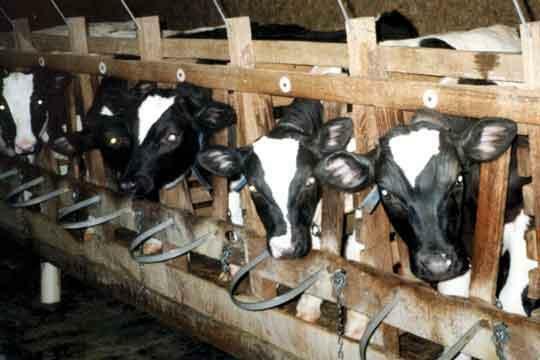 Veal calves are an unavoidable by-product of the dairy industry. When you make the connection you are making the connection between animal suffering and human suffering. You realize that in a beings ability to feel pain, we are all exactly the same and that because of this there is no difference between oppressing, exploiting and enslaving animals and oppressing, exploiting and enslaving humans. You realize that just as racism, sexism and heterosexism exist, speciesism also exists. Just as there is nothing that would change your mind about any other form of discrimination being unjust, there is also nothing that will change your mind that speciesism is unjust. You understand that you cannot be against one form of discrimination but for another because doing so is morally inconsistent and hypocritical. Health — A lack of nutritional and/or culinary knowledge/creativity is usually to blame for many reformed ‘vegans’ going back. Hassle — Many people become overwhelmed by the learning curve and changes involved with a vegan lifestyle. Cravings — Many people have difficulties with self-discipline and ultimately cave when their weak motivation for veganism is tested. Social pressure — Social pressure can come from friends, family, the media — anywhere really — and can take its toll on people with weaker resolve. Ethics — As a way to ease their cognitive dissonance, many aspiring vegans cite ethics as their reason for going back after convincing themselves that if animals are slaughtered “humanely” and “sustainably” that this equates with slaughtering animals ethically. There is no such thing as “happy meat“. You can’t quit veganism. You either get it or you don’t. Anyone who “used to be vegan” but isn’t vegan now, was never really vegan to begin with. The best reason to go vegan is an ethical obligation to treat all sentient beings with the same care and respect we would expect to receive ourselves. This is the universal law of respect, kindness and compassion, best known as ‘The Golden Rule‘ or ‘The Ethic of Reciprocity’. This universal law applies to all living creatures because it is not based on whether they have dark skin, light skin, feathers, scales or fur; nor is it based on their level of intelligence or skill; nor is it based on their usefulness to any other being. The ethic of reciprocity is based on treating others with kindness based solely upon their ability to feel. Basically, if you wouldn’t like to have it done to yourself, don’t do it to animals. 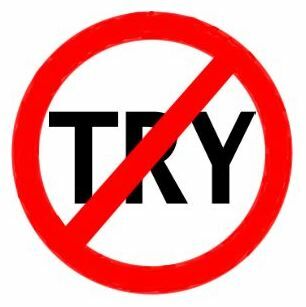 Eliminate the word “try” from your vocabulary. No one expects you to be absolutely perfect while transitioning to a vegan lifestyle the first few times around — mistakes do happen. Many people don’t succeed on the first attempt, but the point is that they keep at it until they do succeed because it is something they strongly believe in. 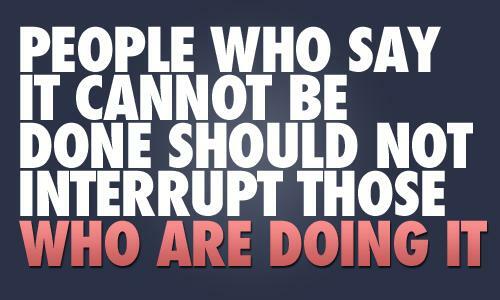 The ones who didn’t believe hard enough are the ones who failed and didn’t bother to go for it again. Notice how I never use the word “try”. Trying doesn’t mean anything — it gives you an excuse to not do. Many people “try” to go vegan but never actually do it because they keep focusing on trying rather than doing. You either do something or you don’t. There is no middle. You don’t get an Olympic Gold Medal for “trying” — you get one for doing — for going the distance and succeeding. This is what separates the winners from the losers. Do you think Olympic athletes win every time? Of course not, but the point is that they don’t let a couple failed attempts discourage them from attaining their goal. Think like a winner, not like a loser. Similar words include: “can’t”, “won’t”, “hard”, “but” and “impossible”. These are cop-outs that keep you from taking ownership and responsibility for your own actions. They are not reasons — they are excuses. Once you make the connection you’ll stop looking for excuses to give up, and start finding reasons to keep going. I’m not saying that the only way to go vegan is “cold tofurky”. I didn’t come to veganism that way myself. It took a lot of trial and error, but eventually I got it right. We must eliminate the word “try” from our internal monologue and our vocabulary in relation to veganism because we need to be confident and steadfast in our belief that we will succeed. We are all connected. Their pain is our pain, and our pain is their pain. Making the connection cannot be contrived — it has to be genuine. Though you can’t force yourself to make the connection, there are certain things you can do to open your eyes and wake up. Some of the best ways are watching real footage of what billions of animals go through every day and what they are going through right now as you read this post. Don’t mistake ‘feeling bad’ for the animals in these films for making the connection. Plenty of people watch the above films, feel bad (some even cry or vomit) and the next day you’ll find them at your local hamburger joint shoving rotting corpses down their gullet. You need to be strong in body, mind, and spirit and your belief in animal rights must be unshakable. Use your brain. Don’t just switch it off because you’re too preoccupied with your own gluttonous cravings and laziness to do the right thing. Remember, slavery is slavery. Who do you stand with, the slaves or the slave masters? In conclusion, it’s understandable if your original reason to go vegan isn’t motivated by your desire to help animals. There are many benefits of a vegan lifestyle such as improved health, fitness and an improved environment for the planet. Along your vegan journey you will constantly be learning and discovering new things. Discovering the connection between human sentience and animal sentience is vital to your success as a vegan because without knowing why you’re adopting a vegan lifestyle and without making the connection, you are guaranteed to fail. Excellent post, as always, Kara. So many good points. And a great list of films. I love Gary Yourofsky’s lecture (“The Best Speech You’ll Ever Hear”), have shared it with quite a few friends, and gain renewed inspiration every time I watch it. I just thought of the perfect person to send this blog to. Will let you know his response. HVNY (Happy Vegan New Year)! HVNY to you as well! Oh, I’m very curious to know who this mystery person is…. Yes, let me know what he thinks! I forgot to tell you: he likes your blog so much that he signed up to receive it. And he’s renewing his efforts to be vegan and organic. I trust the quotes on ethics and moral courage you cite below will forward his progress. That is such good news! If he’s ever in need of some extra motivation he could always read some of your vast collection of quotes, which to me are like giant mouthfuls of verbal candy — and I’ve got a sweet-tooth! I’m a vegan going on 29 years. The more aware you are the easier it is to be a vegan. I tell people that I only eat life, not death. Meat, cheese, eggs, fish all have to die to be eaten. You choose what you put into your body. Very true, Hidesertgirl, you are what you eat! Happy New Year! How does cheese die? No animals are killed in the making of cheese. Hi Smudge. It’s understandable for you to be under the impression that the production of cheese doesn’t cause death. I used to think the same exact thing when I was a lacto-vegetarian. But I’m the kind of person who doesn’t just accept things I am told; I have to conduct my own research and come to my own conclusions. This is why when I was told that cheese production does in fact cause suffering on an immense scale I was skeptical, but remained open to the information. When I learned of the suffering involved in the making of any and all dairy products, I went vegan. I have a few things written on the subject of dairy and cheese to start you off on your research, but I highly recommend you do your own research as well. If there’s anything more I can help you with, please let me know. So, you eat , seeds, nuts, legumes, and possibly grains? You are killing the offspring of many, many plants. You eat fruits? how many trees have you grown out of the seeds of the fruits you’ve eaten? You eat leaves? You are mutilating plants, at best. If not harvesting the whole plant and be done with eat. And I haven’t even started with the collateral damage of agriculture (even organic agriculture has it). You are eating death. You are alive because someone else died.Learn to embrace it. Another great post, Kara! Yes, yes, genuine, strong convictions and ethical considerations will form the bedrock of lasting Veganism. But we must, also, be aware of the reasons for vegan/vegetarian recidivism which you have cited. Even if people have come to Veganism because they make the “connection,” social forces exert strong pressure to conform to our carnist culture and many of these new Vegans may not have the courage of their convictions (shameless plug here, but apt, I think: http://vegmonologues.com/2012/04/04/the-courage-of-our-convictions/) We need to offer strong social support to those who have recently become Vegan for whatever reason. They need to know that there are so many like-minded people out there ready to welcome them. Thank you for linking to that excellent post of yours, Robb. No shame in linking to some great, relevant content. I think I already told you about how I wish I had written that particular post of yours (it’s so well-written!!!). I agree in being supportive to anyone hoping to transition to veganism, but I must remind everyone that veganism must be the goal. Our work is never done. 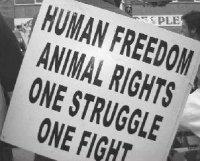 Beyond veganism we must always fight for animal rights. Hi and thanks for the interesting and informative blog! I have just started my move to veganism for the new year. I’ve had three years of experience with vegetarianism on and off, with the first two years disrupted by a return to years of meat eating, but in the last year my cooking abilities and ‘awareness’ to animal suffering has expanded in scope sufficiently to make a confident transition over to veganism. This improved position and experience has mainly been provided via the reflective approach that the (previously unknown to me) philosopher Peter Singer employs, I find said approach to be tactful and rational, and thus much more appealling. I agree with some of what you’ve written here, but I have a problem with the idea that one cannot be an ‘ex-vegan’ and that ‘You either get it (veganism) or you don’t’. You are a vegan if you attempt to give up using animal products, you stop being vegan if you simply stop caring start using them all again. With of course all due respect and politeness, I do not see how any further commitment could be extrapolated from the term, an ex-vegan can therefore exist, and whilst I see where you were going with this post, it’s tone could ring almost uncompromisingly absolutist to someone investigating and contemplating veganism. It is not uncommon among many of the ‘proud omnivore’ ilk to smugly suggest that unflinching vegan commitment betrays the sort of cultist ‘us or them’ isolation inherent in extreme religion. I find this generalisation to be obviously quite base and hollow, but most notably in regards to the logical positions presented by Singer and other moral philosophers. Vegans need to recognise the strength of the moral arguments and maintain a view that advocates an inviting transition to a sensible and thoughtful lifestyle choice. In this, it is better on the animals expense to have a wider circle of vegetarians/’flawed’ vegans stepping back from the products than a small circle of elitists chastising the public or calling each other out. My appreciation if you have read this far, have a great New Year. Hello Calvin, and thank you for voicing your opinions. I can absolutely see what you’re saying when you write: “whilst I see where you were going with this post, it’s tone could ring almost uncompromisingly absolutist to someone investigating and contemplating veganism”. The thing is, “ex-vegans” cannot exist because veganism is more than just a diet, as many people like to believe, it is a mindset — a way of believing — that influences the way you handle every aspect of your life. One cannot go from being against speciesism to being for speciesism the same way that one cannot go from being against racism/sexism/heterosexism to being for racism/sexism/heterosexism — unless they never quite understood what being against such discriminations was about in the first place. Therefore “ex-vegans” were never truly vegan to begin with. They may have tried to be vegan, wanted to be vegan, acted/shopped/ate like a vegan, but that belief system of swearing to never knowingly harm another sentient being simply was not there because they went back to their omnivorous ways (even if they feel bad about it). Imagine you grew up your whole life in the 17 and 1800’s being told by society that slavery was “normal”, “righteous”, “good for the slaves”, etc. One day while walking through a field on your way to town, you see a white man viciously beating a black woman with a blunt object. This makes you question everything society has told you your whole life. You start noticing that black people are able to feel pain, sorrow and fear like white people. You realize that in your ability to feel these things, you are no different from the woman being beat that day in the field. You resolve to free your slaves and vow to never support any politician, business, etc. that oppresses, exploits and commodifies others who are at their core no different from yourself. Now let’s say it’s a couple weeks, months, or even years down the road and you are beginning to find it hard to keep/find friends who are understanding of your compassionate and “strange” views, businesses that do not exploit black people, etc. For someone who has truly rejected the idea of slavery because it offends their deepest moral values at their core, there is no reason, inconvenience or adjustment that would make them go back to their old exploitative ways. But you tell yourself that it’s just too much for you to handle. You go out and buy a few slaves — not as many as you used to have — and you promise to treat them with “kindness”. You make excuses for yourself so you feel better about going back. You try to rationalize your cognitive dissonance in a way that allows you to keep exploiting others, so you feel that you are still a good person. Now do you see? There is no going back if you truly made the connection. You (in this example) didn’t really make the connection. If you had, you never would have went back because there could never be a reason that would allow you to be okay going against your deepest moral convictions. I do not intend to come across as how you say, “elitist” (please read my post “Pot vs. Kettle” that goes into the subject of vegan elitism located here: https://veganrabbit.com/2012/02/22/pot-vs-kettle/). The thing is, just like in this story, if someone makes the connection they will not allow themselves to participate in such wrongdoing no matter how slight, because it is something they object to with every fiber of their being. Veganism isn’t an elite club, but it is a strict mindset and belief system that does not accept any form of exploitation and oppression of sentient beings in any instance. You cannot be half-way against oppression. With animal rights there is no gray area, just as there is no gray area with civil rights, women’s rights, farm worker’s rights, etc. You can’t regulate oppression because no matter what it is what it is and always will be. Although I commend anyone who goes from meat-eating to veganism “cold tofurky”, I still applaud and encourage others to transition any way they feel is best for them. The key is that veganism must be the goal — and nothing less. People often seem to rest on their laurels and get too comfortable waiting until they’re “ready” to go all the way vegan. Heck, I did it myself. It took me right around 5 years to go completely vegan (of course, I never originally intended to go vegan, but that’s a whole other story I’ll be posting later). The point is that as long as your goal is to be completely vegan, do it however you need to, but make sure you DO IT. Well thank you very much for a quick and comprehensive follow up, I’ve got off to a good start today with my stricter vegan ambitions for 2013, cooking some nice meals and stocking up the kitchen cupboard with new healthy supplies. I still however must make clear a few issues on this that seem to be blurring into a subjective whole that I cannot quite agree with. The first of which being the reassertion that an ‘ex-vegan’ cannot really exist because a vegan is an embrace of this larger perception and purpose you hope to awaken in others; if there is only one objective truism I can draw upon here it will be that this has to be at least sematically incorrect. It may be seen as pedantic to say as much, but as long as an individual has stopped using animal products at a stage in their life, then it follows by definition that they were once a vegan. Whether they missed an overarching, greater understanding of the dire need for animal liberation that as a line crossed could not possibly be turned back upon is largely immaterial to the raw defintion of veganism. At this point I would submit my own subjective opinion in turn and dare to go as far as to say that I hope the word ‘vegan’ would never change to such a statement- one where it becomes a badge that can be placed upon and stripped from another according to judgement upon their commitment. Indeed as you say this does not mean that one should assume the vegan door can be held half open and yet fully appreciated, but the view of said door is alas already closed to many from the get-go, and the view I’ve eluded to above would embue that impression upon many more considering the change I’m sure. As someone who has watched the documentary ‘Earthlings’ I am well aware of the term ‘speciesism’. It is a term I hold with reservations perhaps better spared for another discussion, but I feel its use being weaved within the term ‘vegan’ to suggest that a life without animals products is a life with an active world view against animal cruelty, rather than just the arbitrary fact of being apart from it. My personal ambitions desire this latter understanding rather than the former, and I feel that view is sufficiently beyond reproach. I say this also in response to the comparisons regarding slavery, as Franklin was averse so too was Lincoln -and not to the extent nor for the reasons many would like to think- and so more further and fully A.Philip Randolph or of course Rosa Parks, some completely and actively convicted and some only making themselves known through lack of participation. If one were again to tolerate slaves working on their tobacco farm like Thomas Jefferson then they could indeed still be perceived as an ex-abolitionist considering the term describes the situation adequately. I only maintain by all this that words must keep their meaning, lest they divest themselves of it entirely, and that requires them not being malleable to perception or greater concepts/ideals. At the same time reducing animal consumption must be seen as attractive and superior to the wasteful and illogical status quo. Thanks for discussing all this with me. The thing is, I think (and please correct me if I’m wrong) you are applying the term “vegan” to people who only consume a plant-based diet (one that does not contain any animal products) but forgetting about the other many important aspects of a vegan lifestyle outside of the scope of diet. Why would someone who does not necessarily have an active world view against animal cruelty (such as a dietary vegan/total vegetarian) boycott the circus, horse and dog racing, sea world, etc.? Why would someone choose to not be a part of something they do not actively oppose? Veganism is more than simple abstention — it is a rejection of the philosophy of all animal exploitation. A vegan doesn’t necessarily have to be an activist to be considered a vegan by the above definition, but their abstinence of all animal-exploitative products and industries must be rooted in the philosophy of rejection of any and all animal cruelty and oppression. I agree with you that words “must keep their meaning, lest they divest themselves of it entirely”. That is the precise reason why I have written the above post. Again, I feel it necessary to stress the raw definition of a vegan; one who abstains from using animal products. I can agree that there are all sorts of connotations to which this term has thus been extrapolated to include, but those are subjective ideals and to enforce them as if they were an immutable part of the word ‘vegan’ itself would be fallacious; and further still if this were an ‘argument from authority’ (x is true because y said so – I pay no greater attention to the celebrity of character because of who said it). I’m sure you would not consciously blur the line here, but it is something to clarify nonetheless. I for one do not go to circuses, avoid wearing leather wherever possible, do not watch dog races etc; but this is *all* I do, I am not in an active stance and the ‘philosophy of rejection’ for me is to simply reject the entry of animal exploitation into my personal life choices. This must mean my position is by far adequate to be placed within the ‘vegan’ umbrella, others may have only had time to experience a vegan diet; but when one stops that diet then alas they are no longer vegan (ex-vegan). To infer that reversion back to an omnivore lifestyle strips the individual of a term reserved for an understanding one could never betray, cannot conceivably fit with it’s abstract definition. This is something else; a defintion graded via fervency similar to that of a faith or a belief system. The inclusion of this overarching philosophy is a change of meaning, and with that change comes a change in the use of language around that meaning. Sentences like ‘not disciplined enough to be vegan’, ‘no such thing as an ex-vegan’, ‘fails to grasp the vegan ideology/enlightenment’ come into play. Veganism then becomes a plane of awareness rather just refraining from the use of animal products. To my disappointment I have seen this already occuring, in certain eateries I’ve occasioned. Many omnivores I have spoken to see veganism this way already; as divisive, judgemental, pretentious, passive-aggressive or worse- they don’t want to take the leap because they don’t want to be critiqued according to someone else’s standard- and they shouldn’t. I only mention the people I mention because they are directly responsible for not only coining the term “vegan” (Donald Watson) but also by defining it in a way that cannot be separated from an ethical consideration for sentient life. I say this because you expressed an interest in having words maintain their original meaning when you wrote: “words must keep their meaning, lest they divest themselves of it entirely”. These are not celebrities like Joaquin Phoenix or Tobey McGuire. Donald Watson and the original members of The Vegan Society actually created the word “vegan” because of their abstention of the dairy industry. The reason they abstained from the dairy industry was because they wanted to avoid participating in and supporting animal cruelty wherever it went on. To reject the ethical aspect of the word “vegan” is to reject the definition of the word itself. Ethics has been an intrinsic part of the word “vegan” since it’s creation. I only seek to uphold this meaning of the word “vegan” and not allow it to “divest itself of it entirely”. To me, that is exactly like saying, “I do not murder people, but this is *all* I do, I am not in an active stance and the ‘philosophy of rejection’ for me is to simply reject the entry of murder into my personal life choices”. We cannot forget the other part of the equation: animals. Wouldn’t their personal life choice be to stay alive? If someone objects to cruelty to animals they object to it on all accounts, whether it is being done by themselves or someone else — because it’s simply unethical regardless of who is doing it. Same goes for murder. I am against murder and because of this I will not murder anyone, but you can bet I wouldn’t remain quiet if I heard someone discussing how much they love murder and how it’s just a “lifestyle choice”. Veganism is much more than just a lifestyle choice — this is a rights issue. From my experience, many omnivores can be described as “divisive, judgmental, pretentious, passive-aggressive” as well (if you’ve never met these omnivores, please tell me where you live, as I’d like to move there!). See my post Pot vs. Kettle about how vegans and non-vegans interact with and perceive each other and why this needs to change. About not wanting to “take the leap” because they didn’t want to be critiqued by someone else’s standard, all I have to say is that if they had really made the connection, none of that would matter. It really boils down to what matters more to them, not wanting to be critiqued or not wanting to participate in animal abuse? The first half of your comment only confirms that I am correct; according to the idea that we are ‘defining it in a way that cannot be separated from an ethical consideration for sentient life’. I am a vegan because I ethically consider sentient life through abstention, where in this definition does it suggest that I must achieve some irreversible level of awareness? Your argument was that one cannot be an ex-vegan; so when I say that words run the risk of being ‘divested of meaning’ this is the rule I am observing, and from what I see here, also according to Donald Watson. But this is not representative of my position; if someone were to ask me what I thought of killing animals for food, or otherwise exploiting animals I would of course say I believe it to be wrong. It does not follow therefore that veganism is an agenda I actively pursue, and if the goalposts around the meaning of this term were ever officially readjusted to exclude a quiet abstention and only embrace a monitored exclusivism then I would have to sadly reject the term. Yes I have read your ‘Pot and Kettle’ article, and I applaud it’s cathartic, combative stance at least since I do indeed have to deal with many of those same flaws of character in others who can’t seem to leave my life choices well enough unskewered. However, I see it as my responsibility to be at least ethically considerate of the issues we speak of here to invitingly hold the door open for others to nurture an interest perhaps initially in vegetarianism, and then hopefully veganism. My responsibility is not to pout or remain unflinchingly unforgiving, but quietly and humbly show what I see as being a superior life choice- no strings attached, no bars to entry other than sticking to the simple premise of avoiding the use of animal products. The problem is that this ‘awareness’ is a subjective feeling; compassion for animals tends to vary from individual to individual, and some people simply do not care about animals, and some even specifically enjoy their dominance over them. However, *all* individuals make their life choices on cost/benefit analyses. Whatever is being sold, it has to appeal to their self-interest. It may sound cynical, but the average Jo generally seeks her own advantage. Making veganism an attractive option; a morally, environmentally, gustatorily superior option, is going to be far more effective than tying veganism to ideals that might seem cultish and hostile to outsiders. One only need look towards the touchy subject of organised religion to see what works and what does not in this world. Virtually all hardline views are marginalised, and further so if they exclude themselves intentionally. A vegan diet competing against this *will* fail every time. Is it alright for one sitting on the sidelines observing this friendly exchange of ideas between Kara and Calvin to offer a thought or two? It occurs to me that sometimes the definition of “vegan” is divided into “health vegan” and “ethical vegan.” A health vegan is perhaps more tempted to forget about his/her reasons for going vegan and slide back into the old way of eating, in the same way someone falls away from any other diet in times of weakness. Also, I was thinking that because veganism is fairly new to our culture and to the individuals who embark on this ethical way of thinking and living, it’s not yet as embedded in our consciousness as is, say, the conviction that having human slaves is morally wrong. If there were human slave markets all around us today, the understanding that such slavery is immoral might not be quite as definitive to those individuals who have recently come to acknowledge that fact and are newly leaving the practice of owning slaves behind. Still another aspect of the difficulty of sticking to the path of veganism has to do with the sanitized way most animal products are presented to us in stores and by the cook in restaurants and at home. No one looking at a plate of macaroni-and-dairy-cow-made-cheese or a bowl of dairy-cow-made ice cream would dream that a bovine mother and her baby had been callously separated at birth and had endured many other forms of abuse — unless, that is, they had been told it on good authority or had witnessed these heart-breaking acts for themselves. 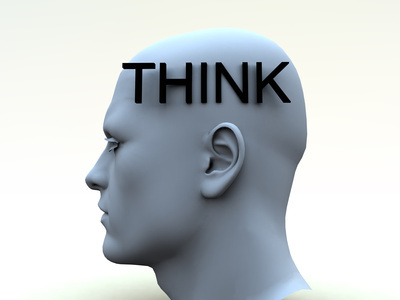 In other words, our society is so saturated with animal parts in our food — and clothing and household products and cosmetics and furniture and autos — that one has to be constantly alert in order to not be fooled or falsely influenced into forgetfulness, neglect, apathy, and acceptance of this sad fact. I’m saying this not to argue for or against either side of the debate. I’m saying it because I have at least three times said “the heck with it” and eaten a cheese pizza, chocolate candy and honey (foods I recall succumbing to while visiting friends and relatives more than two years ago) during an otherwise steady, temptation-free, joyful ethical vegan journey. But I’m finally beyond being baited by such blandishments. By contrast, I have found it harder to leave off buying conventionally grown foods and purchase only organic products. Perhaps that’s because of the price differential. Perhaps, too, it’s because identifying with all the animals and humans — and the soil and water and air — affected by chemical spraying on crops is more challenging. In any case, this month, thanks to a pact I made with a fellow blog commenter, I am buying and eating ONLY organic and, on top of that, am avoiding for the month all monoculture-grown grains, soy, and corn. I feel so good about this decision, to the point where I know in my heart that I’ll stay with organic from now on and will buy far fewer grain-based foods after January. In sum, I’d observe that moral perfection — or as close as we can get to it — comes by degrees. When we cease being enticed to go back to our old ways and we instead remain true to the causes we know to be just, the principles we know to be right, and the beings we know to be worthy of our full honor and respect, then we can be glad about our progress. We’ve probably all found that the moral freedom that comes from conquering still another aspect of selfishness is worth the struggle. And no matter how many times we have to retrace our steps, if we’re honest and gentle with ourselves and grateful for every opportunity to do better, we’ll get there! Persephone, I completely agree with every single word you write. As you said, “Regardless of how strict they are, someone following a plant-based diet for health reasons is just that–someone following a plant-based diet for health reasons”. Perfectly stated. People forget that veganism isn’t only about eating a plant based diet. Veganism encompasses many other aspects of a person’s lifestyle other than simply their dietary choices. Vegans don’t wear leather, wool, fur, exotic animal skins (such as snake or alligator skins), silk, pearls, feathers/down or use products that are tested on animals or contain animal ingredients. Vegans also don’t attend events where animals are exploited such as circuses, rodeos, and some will even boycott zoos. A person wouldn’t do these things if they hadn’t made the connection (though a few could also have to do with environmentalism, such as leather). Kara, I agree with most of what you are trying to say. However, I think it is a bit drastic to say that ex-vegans were never vegans to begin with (I even wrote a post in response to your article: http://vegetariansupplementsguide.com/blog/ex-vegans-were-never-vegan-to-begin-with). It is impossible to be 100% vegan. We all harm animals and the earth in some way. So, we’ve got to pick and choose our battles. For some people, this means never eating meat. For others, it means taking things on a situational basis. Maybe I feel this way because I want to rationalize my own actions — which includes eating eggs and some dairy ever since I moved to Serbia, where factory farming isn’t such a big problem (yet). But I agree that most ex-vegetarians were probably just doing it because it was trendy, or they are too lazy and selfish to make the right moral decisions! Hi, Diane. I’m very flattered that you wrote a response article to my post. 1. Perfection. Of course no one is perfect. I’m not perfect. No vegan is perfect. But perfection isn’t currently possible. It is the striving for perfection that makes us better people. Even if this goal is ultimately impossible to ever attain, it is the basis of evolution and progress. If we aren’t striving for perfection what are we striving for? Mediocrity? “Good enough”? How little are you content to settle for? The bare minimum? That’s not good enough for me and it’s certainly not good enough for the animals. 2. “Ex-vegans”. I stand firmly by my point about ex-vegans not making the connection. Most vegans lived their lives raised on meat and potatoes like everyone else (myself included), but at some point they were confronted with the truth and faced a fork in the road (no pun intended). On one path they could choose to ignore the problem, like the majority of our society. On the other path they could choose to take responsibility for their actions and boycott industries that conflict with their beliefs. It’s all about the choices we make once we learn of injustice. Speciesism is defined as “the assumption of human superiority leading to the exploitation of non-human animals.” Just as there are varying levels of racism, sexism, etc. there are also varying levels of speciesism. For example, some racists are so extreme that they join the KKK, while others are so subtle that they don’t let their racism leave their thoughts. The same goes for speciesism. For example, some speciesists are so extreme that their reaction to meeting a vegan is “for every animal you don’t eat, I’m going to eat three!”, while others are so subtle that they seek ways to regulate and excuse the exploitation of animals — to make it “humane” so they don’t have to feel guilty for exploiting them. exploitation (n): A persistent social relationship in which one group is being mistreated or unfairly used for the benefit of others. You say you eat eggs and dairy from time to time because you moved to Serbia. Whether or not factory farming is a “big problem” there isn’t the issue. The issue is that you are allowing your willingness to exploit animals to be dictated by your choice to move to Serbia. How are the animals to blame for your choice in geographical locations? Why should they be punished? You are saying that your right to live where you want to live trumps animals rights to not be exploited. I understand that it is difficult being vegetarian, let alone vegan in Serbia. I am only saying that this inconvenience has nothing to do with animals and everything to do with the humans who live there, so ethically, why should animals bear the brunt of that hardship when they have absolutely nothing to do with its cause? Please note that I truly mean no offense. This is just the way I see things. I still value and applaud your abstinence of meat, but I would be doing animals a disservice to advocate and promote anything other than veganism as the goal because anything less will be exploitative. I agree with this to some extent, but I don’t believe that this should enable us to settle for less than we know we are reasonably capable of, especially when the lives and well-being of innocent sentient beings are at stake. No one is being asked to give away their possessions and live off the grid in a tent made of leaves. The thing is, vegan food is everywhere. Sure, maybe tofu and seitan aren’t available everywhere, but fruits, vegetables, nuts, legumes, grains, etc. are available pretty much everywhere most humans live, and they are certainly available in Serbia. It’s also a valid point that people do change, but we must remember that sympathy is different from empathy. You conclude your post with “putting a guilt trip on ex-vegans isn’t going to help promote veganism. It will just isolate them further.” This illustrates my point exactly. If “ex-vegans” made the connection, why would they care what anyone else thought about whether they were or were not vegans at some point and why would any of that have any influence on their possible decision to adopt a vegan lifestyle in the future? Someone who has made the connection would not be so easily swayed away from doing what they know is right. Excellent points, Kara. And I appreciate your pointing out the definition of exploitation. I’m going to save that for future use. Should we do so with all ethical matters? So what Diane is saying that ethics should be a matter of what is personally convenient, not what is RIGHT. I have never met a 100% vegan in my life. Everyone causes some form of harm to animals just by living in society. So why aren’t vegans advocating for a complete collapse of society? Cell phones, packaged foods, synthetic materials, and all the other “conveniences” of society are too enjoyable. We all have to find a balance between “convenience” and ethics. Either that, or go live as hermits somewhere. As I have already pointed out to Diane, it’s very convenient for the vast majority of the population living in the developed world to obtain vegetables, fruits, nuts, seeds, legumes and mushrooms. It’s certainly much more convenient for everyone than “living as hermits somewhere” and arguably much more convenient for the animals. convenience: The state of being able to proceed with something with little effort or difficulty. “Every step toward the goal of justice requires sacrifice, suffering, and struggle; the tireless exertions and passionate concern of dedicated individuals.” ~ Martin Luther King, Jr.
“The ultimate measure of a man is not where he stands in moments of comfort and convenience, but where he stands at times of challenge and controversy.” –Martin Luther King Jr. I am new to your site (this is the first post I have read but I will be returning 🙂 Great post I have been vegan 19 years and its the first time I have really looked at it for this angle, but its scary just how true this is. 19 years! That’s quite impressive! Thank you and I hope I’ll see you around. Thank you! Very true, a vegan lifestyle is simply the belief of compassion and respect for all living beings put into action. If the animal is not harmed, if it is a by-product of the animals natural life cycle, ie: eggs what is the issue. I raise my own chickens, and they love me and have a lovely life of free foraging as much they could want and protection at night and eventually they reach the end of their cycle and are buried what is the problem? I don’t have a rooster because of suburban living, but I can have my girls who cluck and come to me when I call and are so loved. Their eggs are a gift. Same with bees, I do not have a hive, but have friends who do and they love their hives and cherish the golden gift they give. Self sustainability that includes some animal products that in no way harm the animals is not harmful; and is a vital and healthy part of a permaculture environment. The point is that bees don’t make honey for humans. They make honey for bees. Chickens don’t lay eggs for humans. Stop thinking of these things as a “gift”. These things are stolen. If you wouldn’t steal from a human, don’t steal from a non-human.